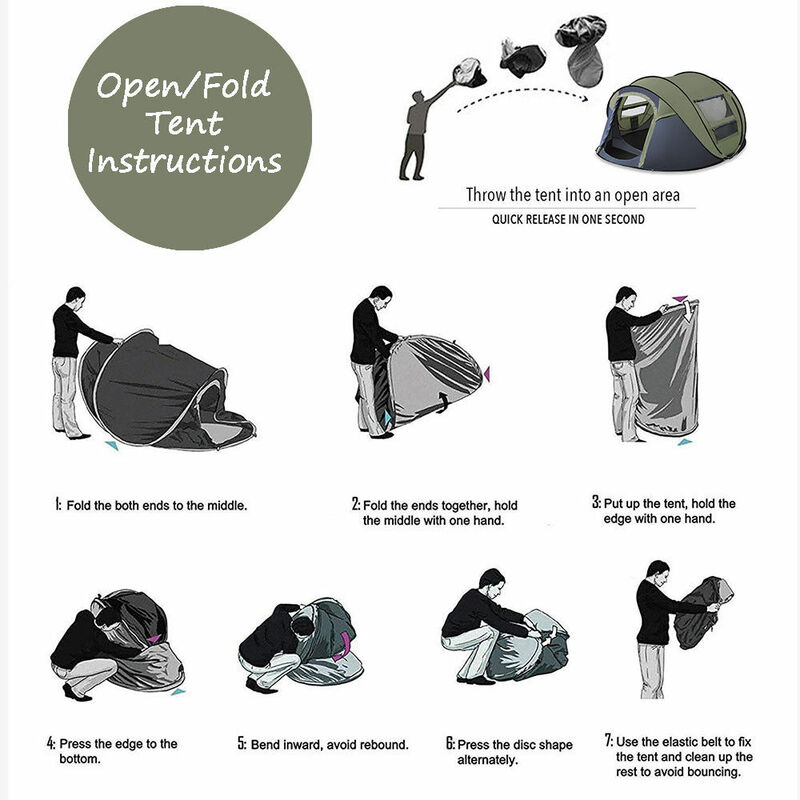 * Open the package, remove the binding belt, gently throw it out immediately, quickly build it. 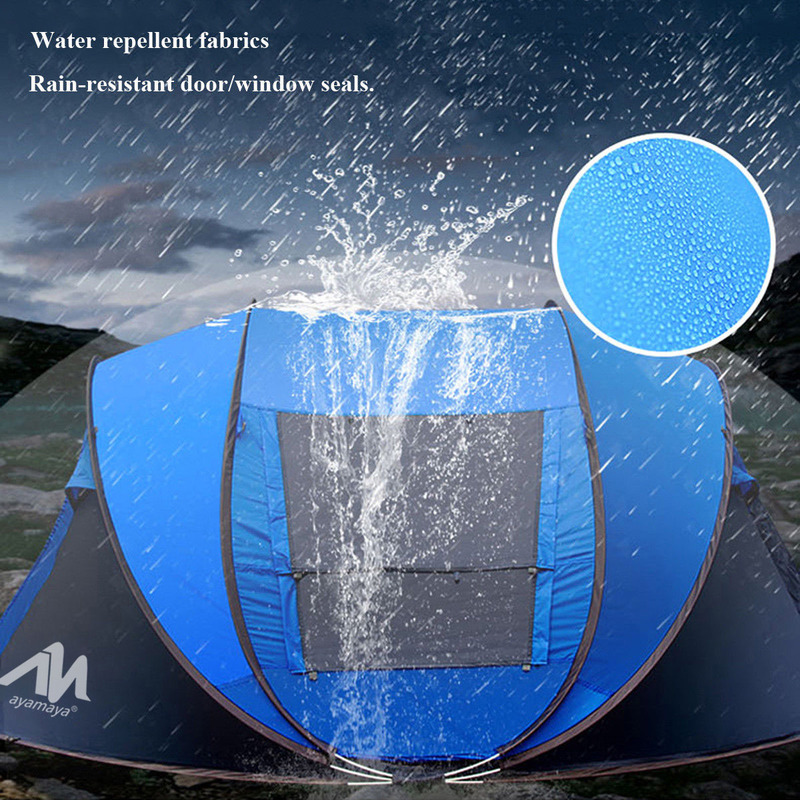 * Waterproof fabric will withstand moderate rain for a short time. 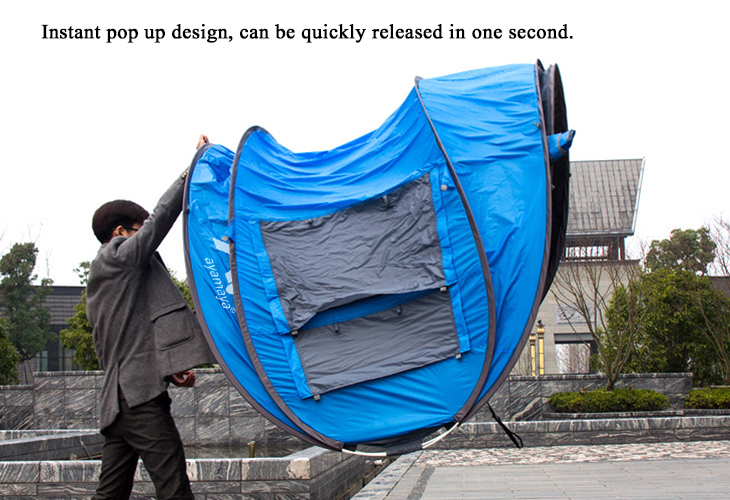 * Large capacity that can hold 3-4 people in it. 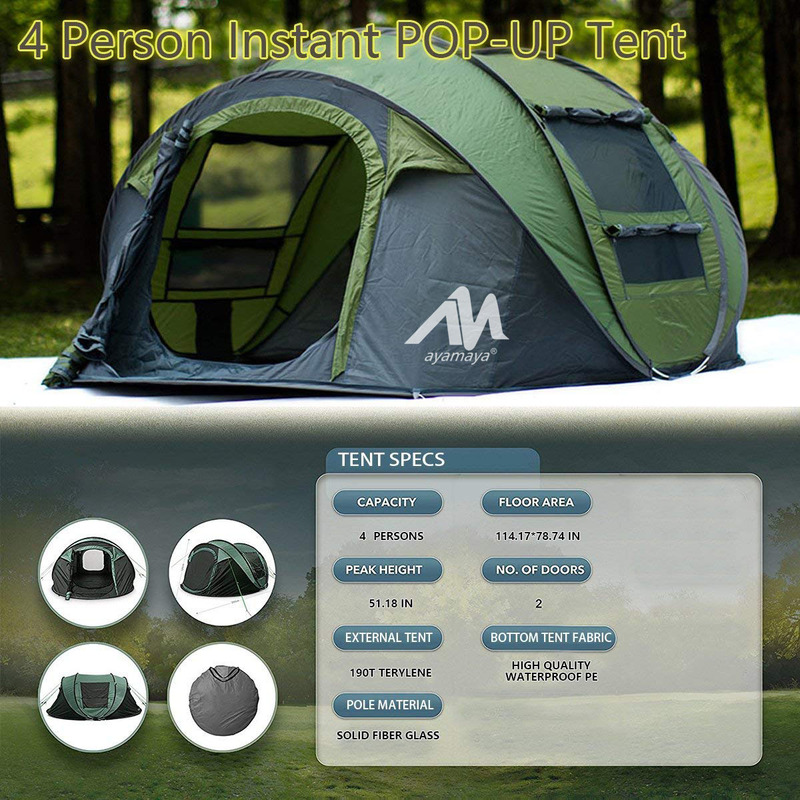 * There are two doors and four windows, comfortable and breathable. Use of high-density gauze effectively avoids insects. * Storage bag design is convenient for carrying on goods. 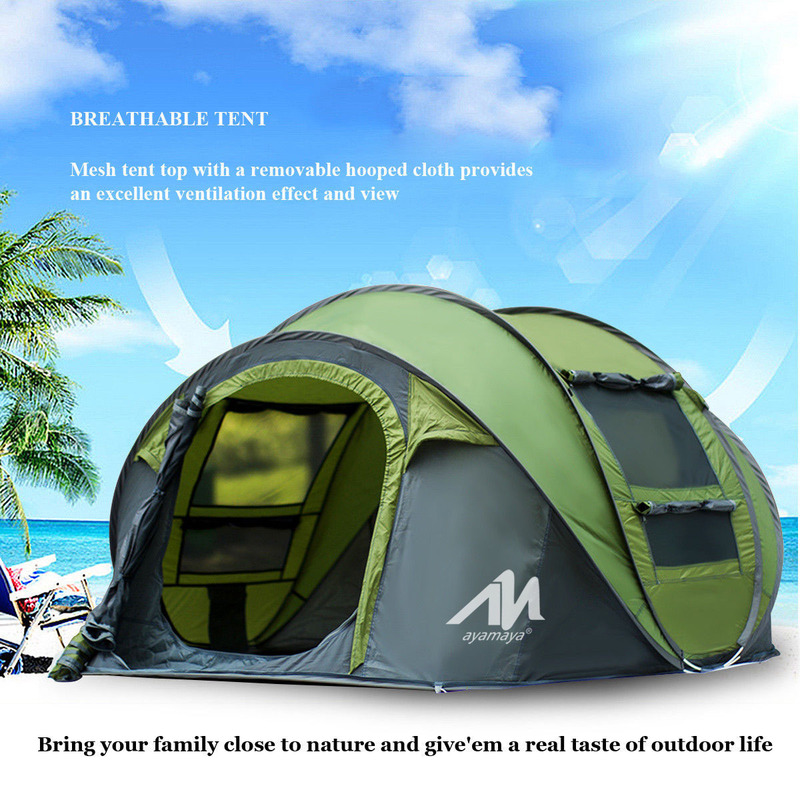 * The high-quality camping lamp hook, fibreglass pole and the fine workmanship of the wind rope ribbons are durable.